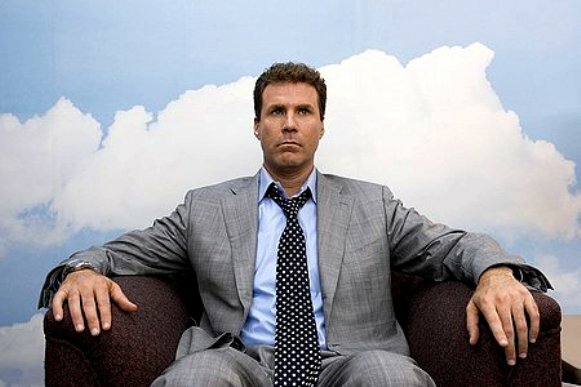 Funnyman Will Ferrell temporarily grew up for Stranger than Fiction (2006), a comedy-drama, or sophisticated comedy before he regressed again to ubiquitous potty-mouth roles. This is one of those ingenious concept fantasies about a man who awakens one morning to find that his life is being narrated by a far-off voice that he can’t explain. Emma Thompson supplies the voice, and little do we know if she is an angel from above, or someone just like us. She is revealed as living novelist Karen Eiffel. Harold Crick is haunted that everything he does is mirrored word for word by Thompson’s narration. It becomes particularly vexing when Thompson’s voiceover forecasts Crick’s impending death that could come anytime soon. The crucial character flaw of Crick is that he is a painfully dull IRS man that plans out every daily activity to the precise minute, succinctly a routine-guy that never breaks his monotonous lifestyle. Perhaps Dustin Hoffman, as a literary scholar can help uncover the mysterious origin of the voices can break Crick out of his shell. Or perhaps Maggie Gyllenhaal (“Secretary”), a carefree pastry shop owner whom is to be audited by Crick can make him into a happier man. This is fun and inventive. The voices in Crick’s head is what is driving him batty, it is what is catapulting him towards irrational behavior that is alien to him. It’s also really what is driving the film. When the film takes a lower-gear to normal mode – putting Crick’s character to the test of interpersonal relationships minus the voice-over narration – everything about “Stranger than Fiction” becomes too ordinary. Director Marc Forster (“Finding Neverland”) has a knack for pleasantly blending fantasy into realistic settings. His film is crisply shot too – we feel immersed into Crick’s everyday hygienic world. The movie that Forster has made is clever and mildly appealing, yet the mild quotient informs us that the movie is playing it too safe. “Being John Malkovich” is an example of a movie that kept escalating the twists the further along it went. 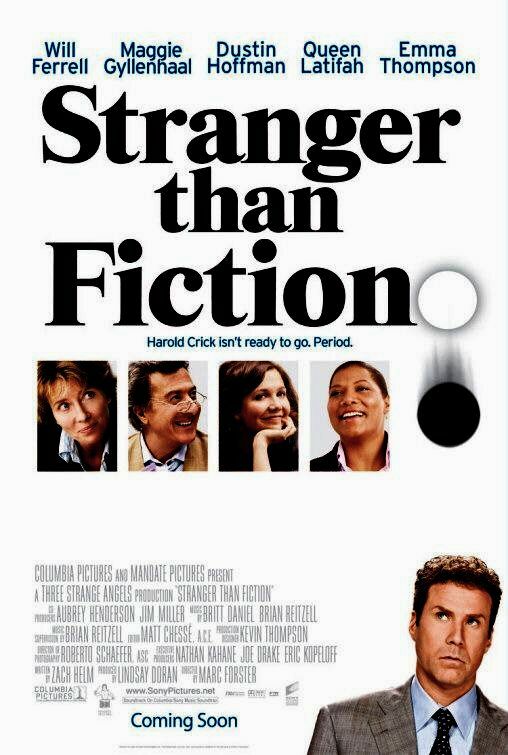 If “Stranger than Fiction” misses out on classic status, at least it has become a watchable and pleasant effort. As for Ferrell? It was a low decibel performance that disarmed some audiences waiting for him to break out into wild and antic mode. He deserved credit to sticking to his meek and socially inept character who evolved into a lovable crumpet of a man. I wish we had more of this from Ferrell instead of the one-note mouth pooper he’s become. Queen Latifah and Tom Hulce also have meaningful supporting roles. Film Cousins: “Harvey” (1948); “Being John Malkovich” (1999); “Synedoche, New York” (2008); “Ruby Sparks” (2012).